New CCG and RPG accessories + Breaking Bad the Board Game! Posted: Sat Jan 27, 2018 7:31 am Post subject: New CCG and RPG accessories + Breaking Bad the Board Game! 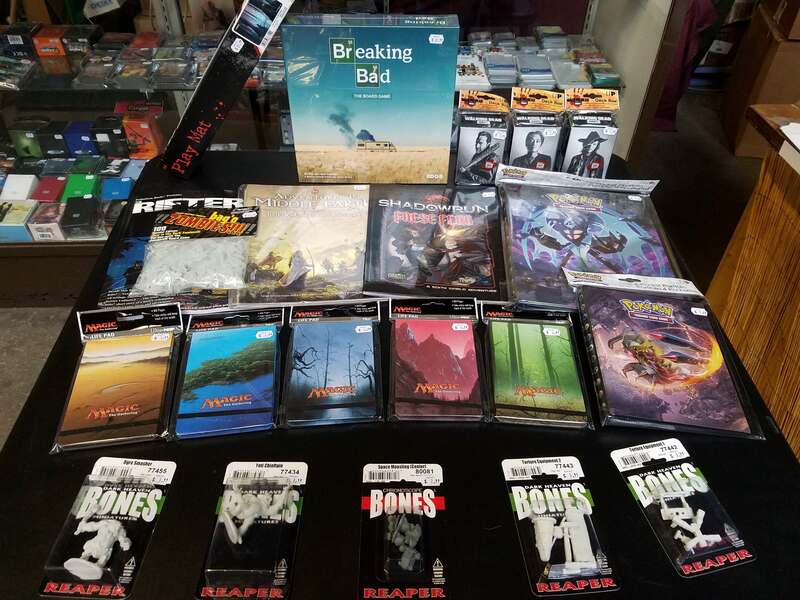 Merlyn's has some great new inventory this week, including new card game accessories like Ultra Pro land art Life Pads for Magic and 9 and 4-pocket portfolios for Pokemon, new RPG books for Adventures in Middle Earth, Shadowrun, and Rifts, plus an awesome-looking new Breaking Bad board game and some new Bones minis. Check out all these and more new items in store today!